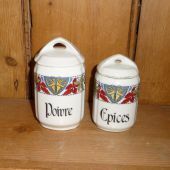 2 pretty small canisters for pepper and spices. The first, for pepper, is in very good condition. 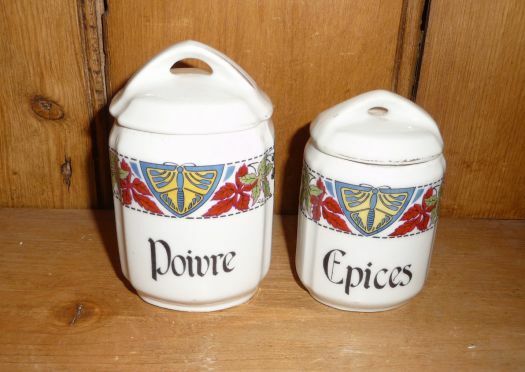 The smallest, for spices, has a hair-line behind but it remains strong. Height 9 cm and 8 cm.